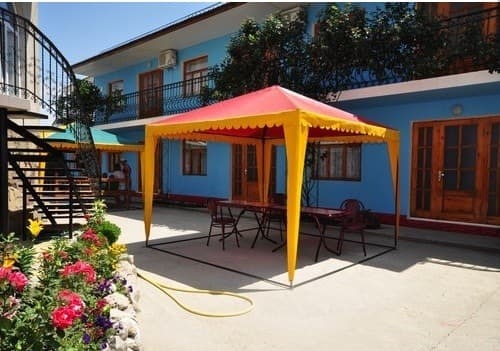 Mini-hotel "Esvet" is located in a 15-20 minute walk to the sea. From the balconies of the hotel rooms you can see a beautiful view of the sea, the ancient Genoese fortress, and also the mountain Perch. 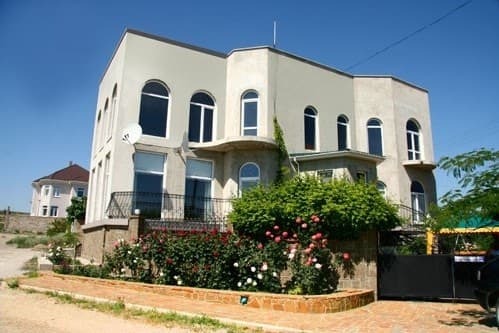 Mini-hotel "Esvet" offers accommodation in 2-, 3-bed rooms Standard class and VIP room. All rooms are decorated in a modern European style. Cold and hot water supply - around the clock. Free Wi-Fi is available. Rooms are cleaned on request. On the territory of the mini-hotel "Esvet" there is a parking lot for 10-12 cars, cozy bedsteads for rest. PRICES MAY CHANGE, IT IS REQUIRED TO RECEIVE INFORMATION FROM THE OPERATOR. 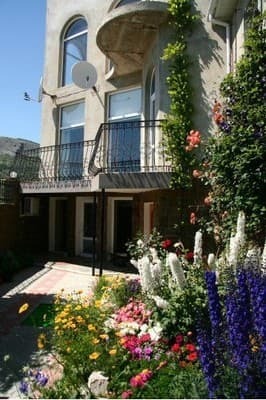 Description of the room: The double room has a balcony, refrigerator, air conditioning, TV with satellite TV. It is possible to provide extra beds in the rooms. Description of the room: The triple room has a balcony, refrigerator, TV with satellite TV. It is possible to provide extra beds in the rooms. 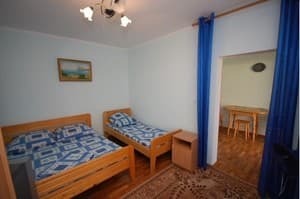 Description of the room: In the "VIP" room there is a kitchen, 2 balconies, 2 bedrooms, a refrigerator, air conditioning, TV with satellite TV, computer, washing machine, oven. The windows overlook the fortress. It is possible to provide extra beds in the rooms. Children from 3 to 7 years old - 50% of the cost with an extra bed. Children from 7 years old - 80% of the cost with an extra bed. 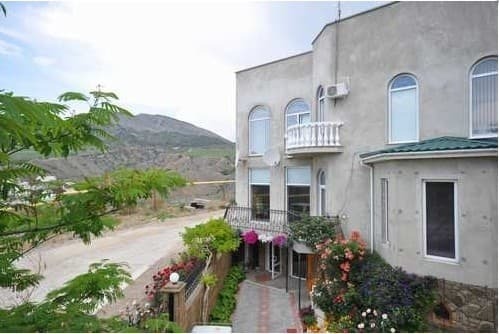 Mini-hotel "Esvet" is located in the resort town of Sudak. The distance to the sea and the central promenade is 15-20 minutes walk. The nearest railway station is in Feodosia. From Feodosia by bus to get to Sudak, through Koktebel. Travel time is about 45 minutes. If you go from Simferopol: next to the railway station (exit to McDonald's, in the direction of the tower with a clock) are auto- and trolleybus stations. From there by bus or shuttle.